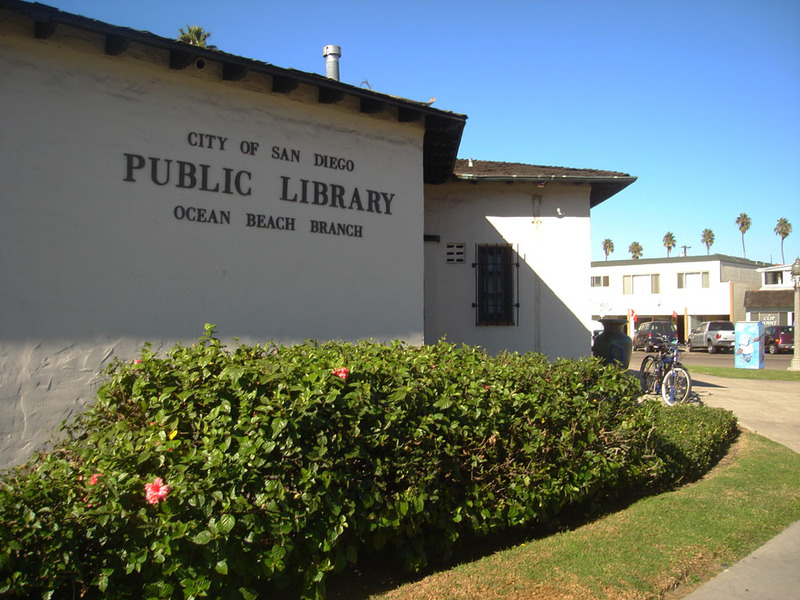 Councilmember Kevin Faulconer’s office is calling on Ocean Beach residents to join him in a petition drive to help save the Ocean Beach public library. As has been chronicled in the OB Rag here, here, and by Councilman Faulconer himself here, Faulconer is taking a leadership role in attempting to stave off massive budget cuts that will severely cut back operating hours for city operated public libraries across San Diego, including Ocean Beach. Most libraries would see their staffing cut to the bare minimum, and would see their operating hours slashed to around 18 hours per week. Faulconer is asking Ocean Beach residents to join him at the public library on Saturday, April 30th, to sign the petition and to help gather signatures. Faulconer himself will be there from 12:30 to 1 pm. You can also help gather signatures by downloading the Petition to Save Our Libraries, scan the filled in sheets, and email them to obgeorge@nethere.com by May 4th. Councilman Faulconer is also working with the San Diego Foundation on a tourism initiative that will save the fire pits that are once again falling victim to budget cuts. The idea is to create a funding mechanism that will pay for the upkeep of the OB fire pits in perpetuity and eliminate them as a target for budget cuts. Faulconer feels that they are an important attraction for visitors to Ocean Beach, and eliminating them would curtail a source of tourist dollars for local businesses. Bids are once again being solicited for the Brighton Avenue comfort station project to rebuild the public restroom facilities. The deadline has been extended by two weeks to May 17th. The project has been delayed due to a lack of suitable bidders the first time around and bad timing by city planners. Bids were originally solicited in December, a traditionally poor time of year for contractors to take on new jobs. Of the handful of bids received at the time, several were rejected because they were not submitted in a proper binder. There was a bit of very good news, however, as the city’s Parks and Recreation Department found $250,000 to put toward the project in addition to the originally budgeted $680,000. Saturday, May 7th: The kickoff for San Diego River Days. First event: Dog Beach cleanup. Volunteers are asked to show up at the Dog Beach Paw Print beginning at 8:30am. Go to www.sdriverdays.org for more information. Saturday, May 14th: OB Shred-a-thon. Bring any and all documents you have to be shredded to the Ocean Beach pier parking lot between 11am and 2pm to be shredded and recycled. Saturday, May 21st: OB Beach Ball, Ocean Beach Pier parking lot. Next meeting May 4th, 6pm at the Ocean Beach Rec Center. Volunteers needed for the OB Street Fair. Please contact the OB MainStreet Association. Volunteers are also needed to help maintain the Ocean Beach entryway. Please contact Nancy Vaughn through the OB Town Council. Correction: Kevin Faulconer will be at the Ocean Beach Library from 12:30-1:00pm on Saturday, April 30th, not from 10am-2pm as originally reported. The petition drive will be happening most of the day, however. My apologies for the error. It even got covered in the daily fishwrap. This makes the OB Rag look waaay too legit. I say we start a petition to auction off Donald Trump’s hair to keep our libraries open. Do you want to help save the OB Library? Meet at noon on Sat April 30th in front of the library. Just to be clear, OB asked Kevin Faulconer for help first. He deserves credit, though, for paying a LOT more than lip service to the cause. He’s doing what he was elected to do–represent the interests of the people of his district. You can’t always say that about politicians, so I applaud him for accepting a leadership role in this effort. Whoa, a whole lot is going on! As always, thanks for keeping me up to date! Somebody please ask Mr. Faulconer when he plans on letting us drink on the beach again. Maintain the entryway….all those kids sitting on “the wall” should smoke a doobie and go spend an hour or two. If so, I will bring them goodies to take care of their munchies!